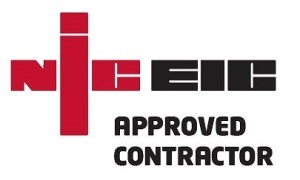 CherryLux lighting installations are carried out by our own in-house team of specialist installers, they are fully NICEIC accredited, and also are accredited to install under the Construction Line and PICS schemes. Our installation teams are efficient and considerate of your operational requirements during installations, and at all times are safety conscious and maintain a clean working environment. 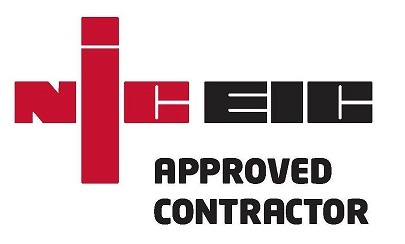 Our installation team have access to a comprehensive range of access equipment to ensure that we can carry out installations regardless of the work environment. Equipment includes vertical boom lifts, scissor lifts and cherry pickers. All our technical operators are fully trained and have prior experience. CherryLux fully understands the importance of minimising any disruption during your lighting installation. Factories cannot afford to stop production, offices cannot shut for the day, and traffic must remain free to move! CherryLux is willing to discuss suitable access times to avoid these inconveniences, whether this means working at weekends or out of hours.